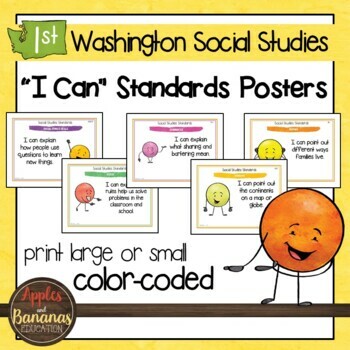 We have taken the Washington State social studies learning standards for First Grade and turned them into "I Can..." posters and statement cards so that your kiddos can boast about what they can do! 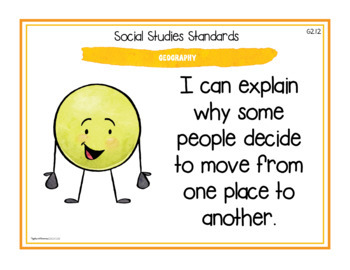 Color coding and icons are supplied for each type of standard. 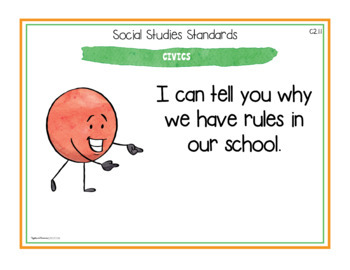 For example, all "economics" standards are orange and have a corresponding icon for easy reference. 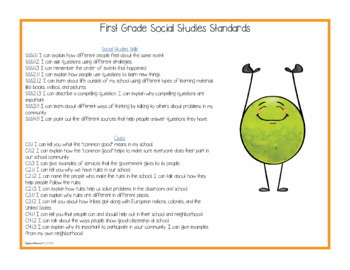 Other categories for First Grade include history, geography, and social studies skills.